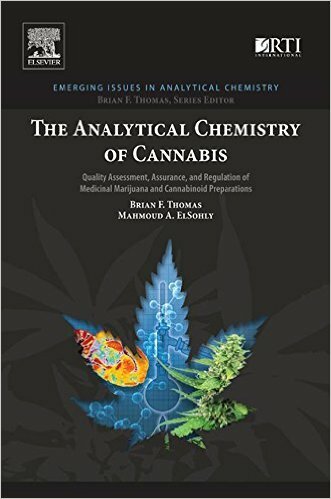 A volume in the Emerging Issues in Analytical Chemistry series, The Analytical Chemistry of Cannabis: Quality Assessment, Assurance, and Regulation of Medicinal Marijuana and Cannabinoid Preparationsprovides analytical chemistry methods that address the latest issues surrounding cannabis-based products. The plethora of marketed strains of cannabis and cannabinoid-containing products, combined with the lack of industry standards and labelling requirements, adds to the general perception of poor quality control and limited product oversight. The methods described in this leading-edge volume help to support the manufacturing, labelling, and distribution of safe and consistent products with known chemical content and demonstrated performance characteristics. It treats analytical chemistry within the context of the diverse issues surrounding medicinal and recreational cannabis in a manner designed to foster understanding and rational perspective in non-scientist stakeholders as well as scientists who are concerned with bringing a necessary degree of order to a field now characterized by confusion and contradiction.